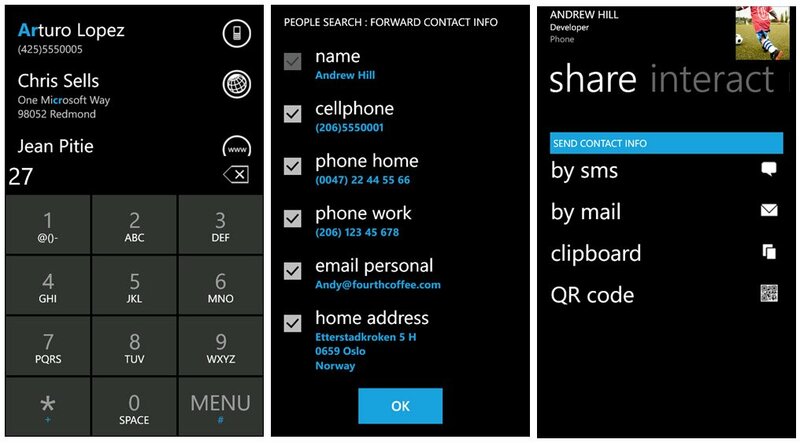 People Search is a Windows Phone contact search app that is based off of the T9 system instead of a full-QWERTY keyboard meaning you can easily use it one handed. What's more it's full of features such as customizations, how much information it should search through (e.g. just names or phone numbers, email, etc.) and the ability to send contacts via email, SMS, copy-to-clipboard or create a QR tag with the contact information. 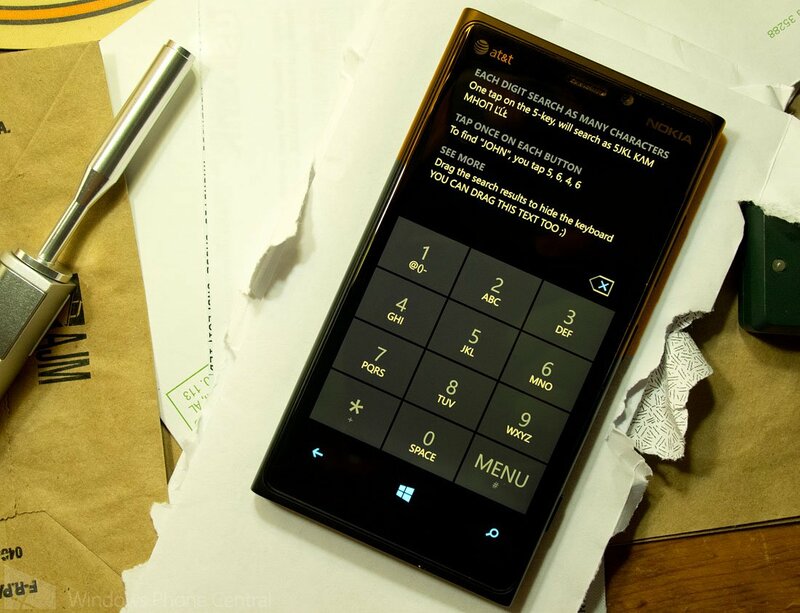 An update has just been released over at the Windows Phone Store taking the app to version 2.0 that adds a new metro-friendly keyboard, and speed dialing to the mix. The update still has People Search written for Windows Phone 7.5 but has some minor enhancements to take advantage of the faster Windows Phone 8 devices. A high contrast keyboard mode that makes the keyboard easier to see, and fits Metro UI even better. Speed dialing and Press-and-hold favorites; Put favorites to the dial keys 2,3,4,5,6,7,8,9 and 0, so you can call/text them with press'n'hold of a single button. Three new custom-icon options (nine in total now). Dial pad use accent color as background on keypress (so the app blends even more into your chosen theme). Added a 'Got it, don't show this anymore'-checkbox to the infotext that is shown in last used (so the app looks nicer when you have gotten the message. Backup/restore now also covers speed dial and last used (this data is of course stored privately and is not shared or used in any way, other than making it easier for you to restore on a new phone). Tip about tap-number-to-clear++ is not shown if user taps once on it (then I assume you 'got it'). Tuned the start-up animation so the LOADING-text is not shown on extremely fast devices. Windows Phone 8 devices are so fast that the loading-animation just blinked. A bugfix for issue that occurred when one-or-more contacts had a empty Display Name. As an added bonus, Gydar Industries will be offering People Search and their Norwegian travel app Trine i Farta (regularly $1.99) for free all day Monday (December 17th). If you are looking for an alternative means of searching and calling contacts, People Search is worth a try. There is a trial version available with the full price running $.99. You can find People Search here at the Windows Phone Store. Keep in mind that the update was just released to the Windows Phone Store and may take a little while to show up and get pushed out.